It may be classified as a “romcom,” but the subtitle corrects any such misconception: “This is not a love story. 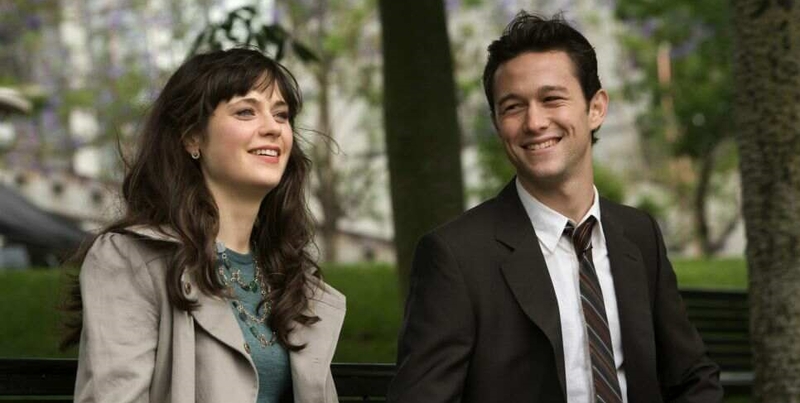 This is a story about love.” The 2009 film, starring Joseph Gordon-Levitt and Zooey Deschanel, is indeed an odd commentary on love. I say “odd” because the “(500) Days” of their relationship that the film covers aren’t in order. The film starts on day 290 when [SPOILER ALERT!] main characters Tom and Summer break off their relationship. This is our first clue that this is going to be an “odd” story. From there the story breaks back to the early days of the relationship, and then to later days, and here and there and everywhere, seemingly in no particular order. At first I was confused about the logic of the movie. But as the “plot” progressed, it started to become clear. Just like the subtitle says, this is not a love story. Even though the whole movie is about two people falling in love and getting to know each other and progressing in their relationship. It is, rather, a story about love. Love itself. And that is the key to understanding it. And to understanding the gospels. 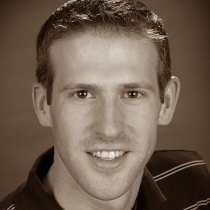 No, I don’t mean that the gospels are about love (though in a way, they are). What I mean is that they are not about the life story of Jesus. Yes, the gospels are all about Jesus. But that’s not what they’re for. For years I found the gospels confusing and difficult to grasp because I looked at them as the biography of Jesus the Christ. And as biographies, they don’t make much sense. In fact, as biographies, they are suspiciously confusing. As if each new biographer wanted to add a new story and top the best bits from the last, but no one thought to mention the bulk of his childhood and there are significant gaps. And then there are the “difficulties” (read seeming contradictions) between the four accounts. It wasn’t until I realised that the life of Jesus was not the point the gospel writers were making that I was able to start making sense of the gospels. The same is true with Tom and Summer. It makes no sense to start a love story with the breakup… unless the story isn’t about Tom and Summer, but rather about love itself. And this brings us to the point of this post. Most movies use a Western linear progression to develop a plot through a series of events to a climax with the story itself driving whatever points the movie is trying to make. Sort of like reading Paul’s letter to the Romans. 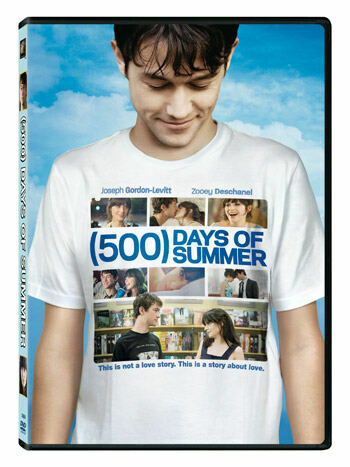 But “(500) Days of Summer” is a different genre. As are the gospels. In this genre, the story itself isn’t the point. It is merely a tool being used to communicate a point. So in the gospels. Allow me to outline some key parallels between the the movie and the gospels along with some thoughts on their implications for grasping the message of the gospels. 1) Both contain signposts to help us keep up. In the movie, there’s a ticker that comes up before each change of scene telling the audience what day of the 500 days we’re at now. I was tempted to think the gospels left this out until I realised that the gospels give many signposts. The problem is, since we use the Gregorian calendar, we miss many of the signposts that are obvious to those more familiar with the Jewish calendar. 2) Both ignore the chronology and coherence of the story and focus instead on using the story to make a point. The most obvious problem with (500) Days of Summer is that it tells the tale of an utterly unremarkable relationship between two unremarkable people, who are both selfish and not very bright. And once you actually put all the events of this movie in chronological order, it becomes clear just how ordinary and pedestrian the story really is. This reviewer actually goes on to give a chronological outline of the events of the movie. Sound familiar? This is exactly where those who argue against the veracity of the gospels get off track. They attempt to organise a chronological, coherent story out of the gospel texts and then point out that there are large gaps and seeming contradictions. The above reviewer opines “some very big leaps in logic are required to make this chronology work.” These words are straight out of the mouth of critics of the gospel accounts. The problem is that this reviewer, while producing a review with a detail and precision bordering on obsessive, has totally missed the point of the movie. He’s assessed the love story and missed the story about love. 3) Both are unfulfilling when read merely as a story. You won’t walk away from “(500) Days” feeling that sense of fulfillment you have after you watch a good love story. You’re not supposed to. Rather, you’re supposed to walk away musing on the role of fate in relationships and the nature of love and the resilience of the human heart. That’s what the movie is about. Tom and Summer are just props. In much the same way, you’re not going to walk away from the gospels with the sense of fulfillment you get when you finish a good biography. You’re not supposed to. Each gospel makes a unique point. You’re supposed to get that point. The incidents from the life of Jesus, while obviously more than “props,” have been chosen out of many possible incidents to make the point the divine author is making. If we skip six months between stories, it’s not a big deal. The point is not the progression of Jesus’ life, but the point being made. And this is also why four gospels makes sense. It is not four redundant attempts to tell the life story of Jesus. Rather, it is four authors making four points (or perhaps one point from four angles). One gospel cannot replace another because each makes a unique point. Until we get this, we could end up giving the gospels bad reviews all the while missing their point entirely. While many more parallels could no doubt be outlined, I pray that these will give insights for a deeper understanding of the gospel accounts. Of course the parallels will be limited and should be treated with care. Still, I trust that for some, this will open your understanding of the gospels by comparison to this modern manifestation of a similar genre. I saw this movie recently and thought a few things. 1. Zooey has an annoying voice. 2. Joseph is a man child and I can’t take him seriously.